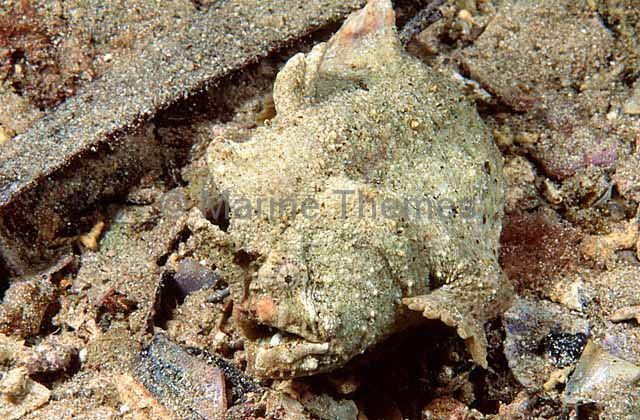 Smooth Anglerfish (Phyllophryne scortea) walking across the sea bed. 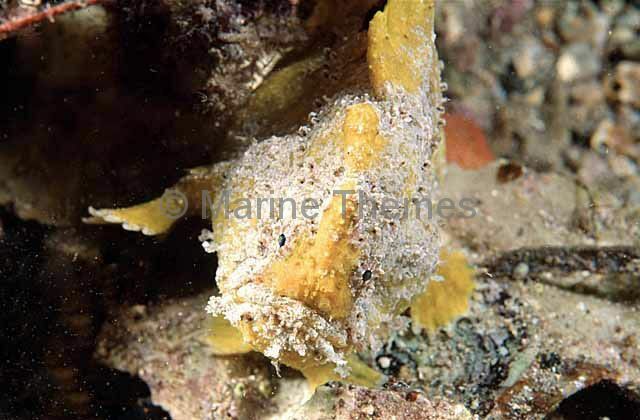 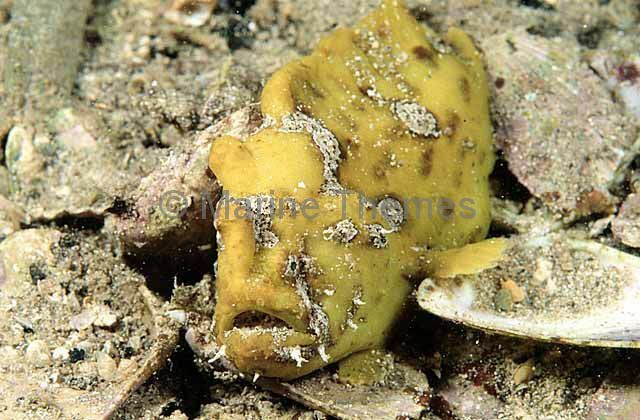 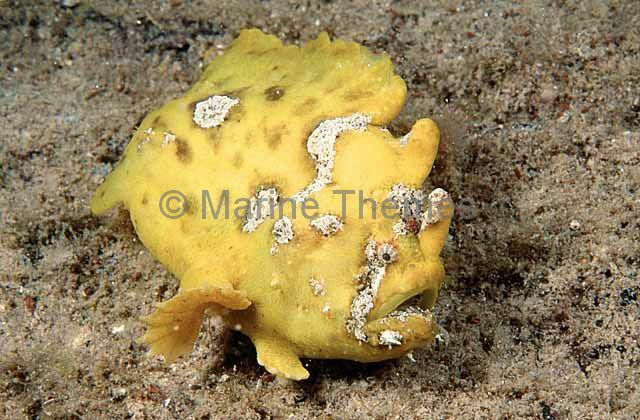 Smooth Anglerfish (Phyllophryne scortea) Yellow colour variation. 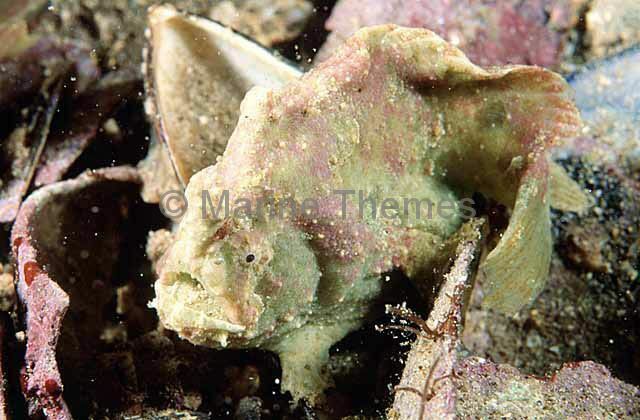 Smooth Anglerfish (Phyllophryne scortea) Orange colour variation. 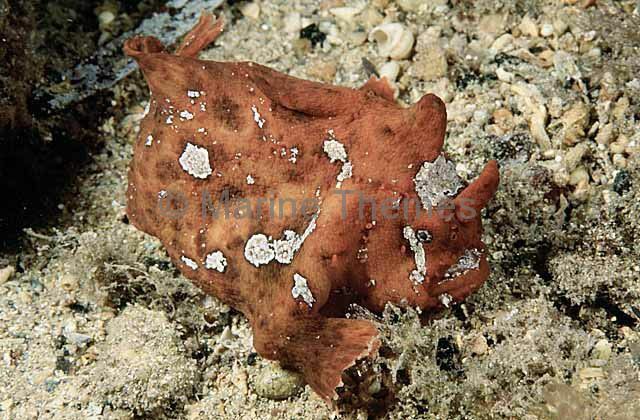 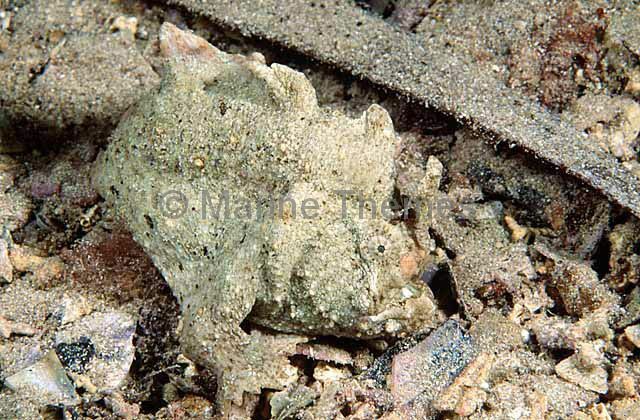 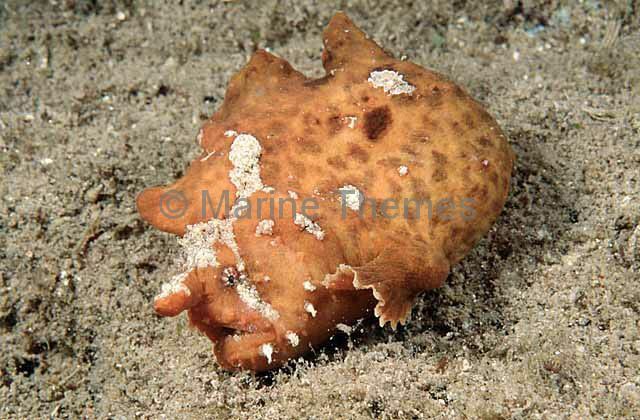 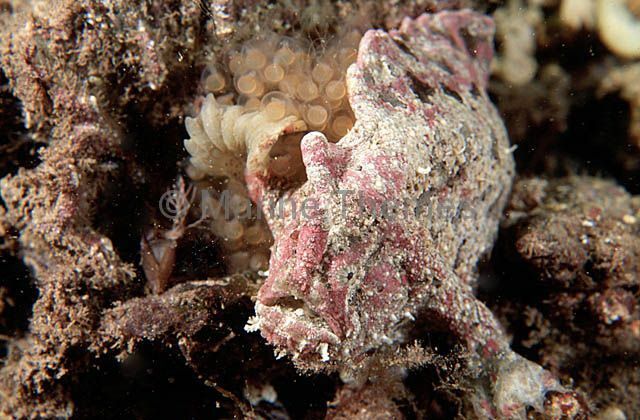 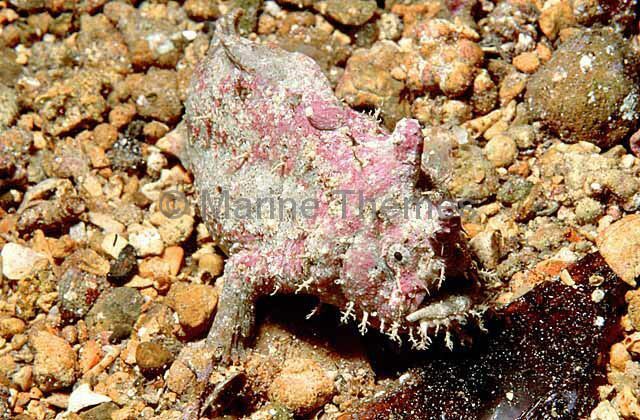 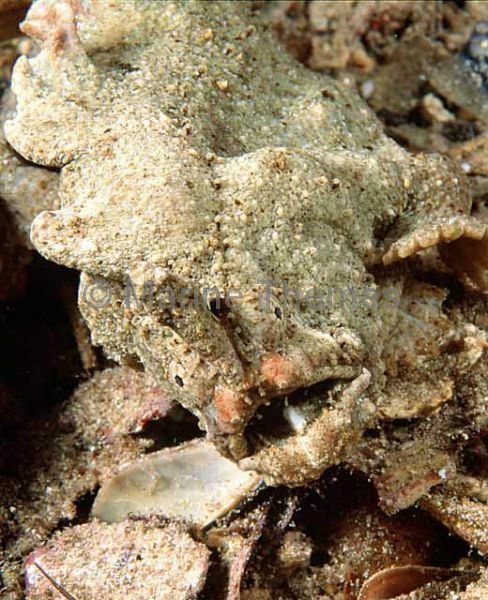 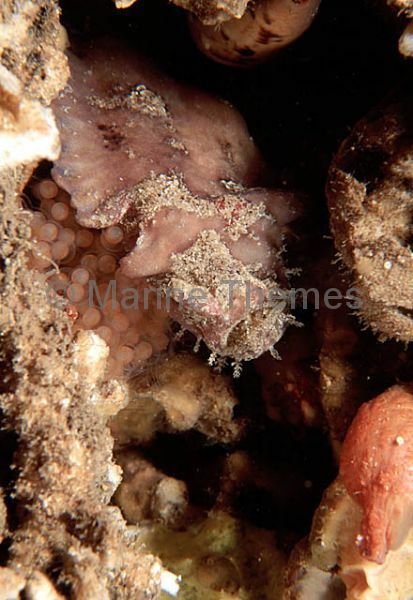 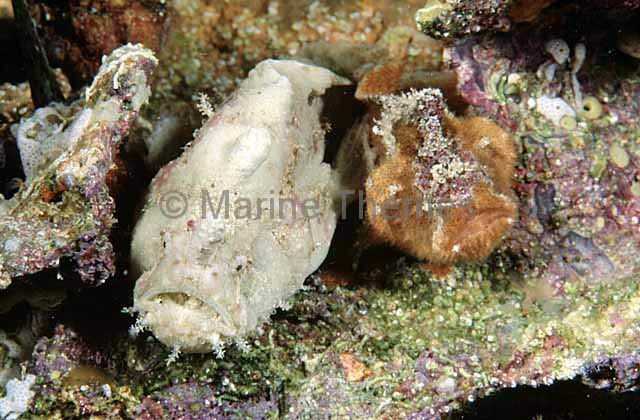 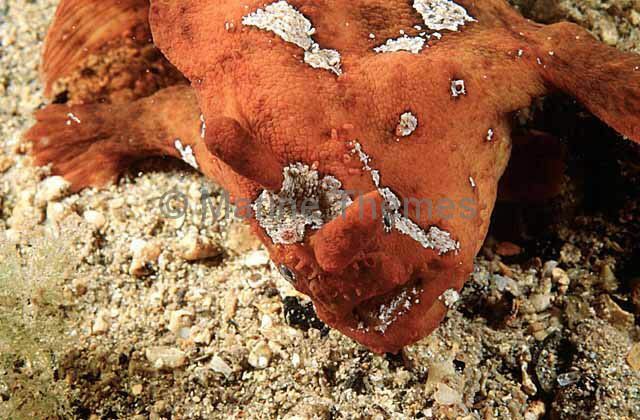 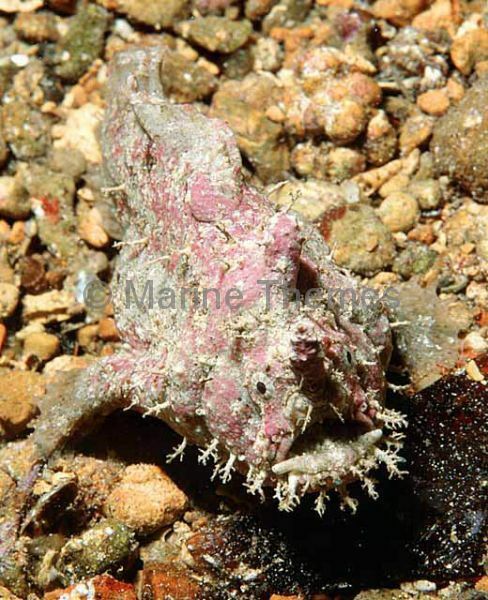 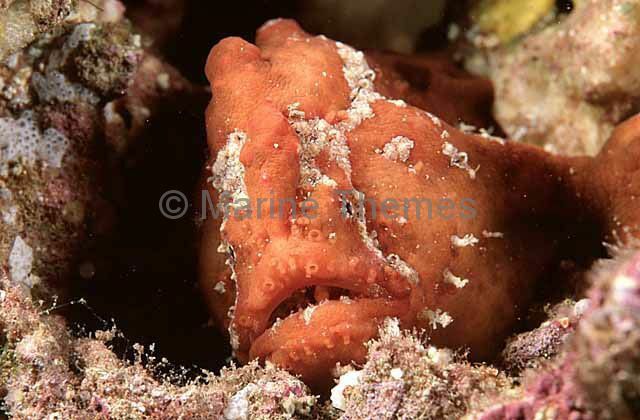 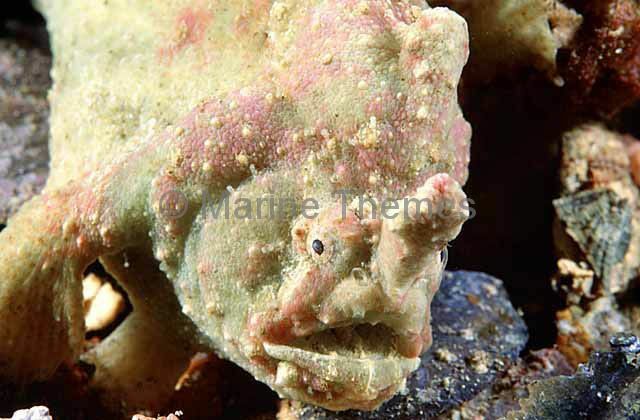 Smooth Anglerfish (Phyllophryne scortea) Pale colouration in imitation of sponge. 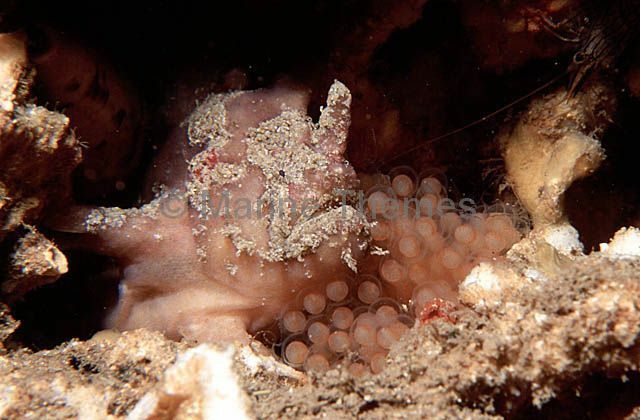 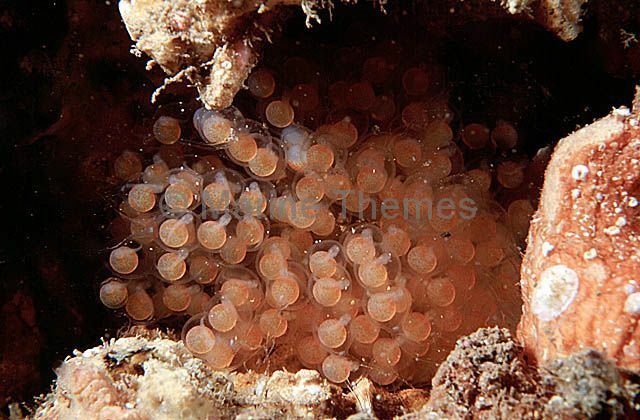 Smooth Anglerfish (Phyllophryne scortea) two week old egg mass. 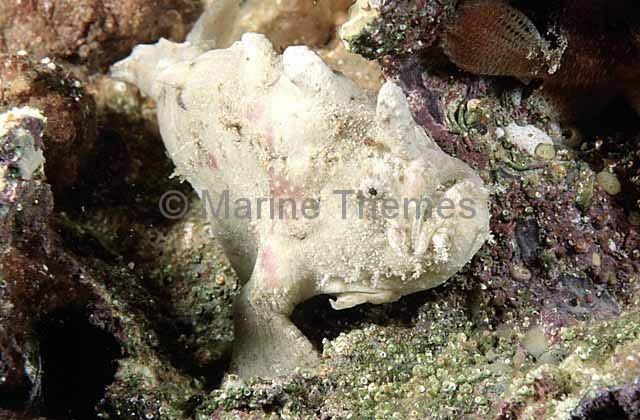 Smooth Anglerfish (Phyllophryne scortea) with newly laid egg mass.